Emerging Sources Citation Index: Journal of Neutron Research is now covered in the Emerging Sources Citation Index in the Web of Science, which will provide greater discoverability for JNR articles leading to measurable citations. 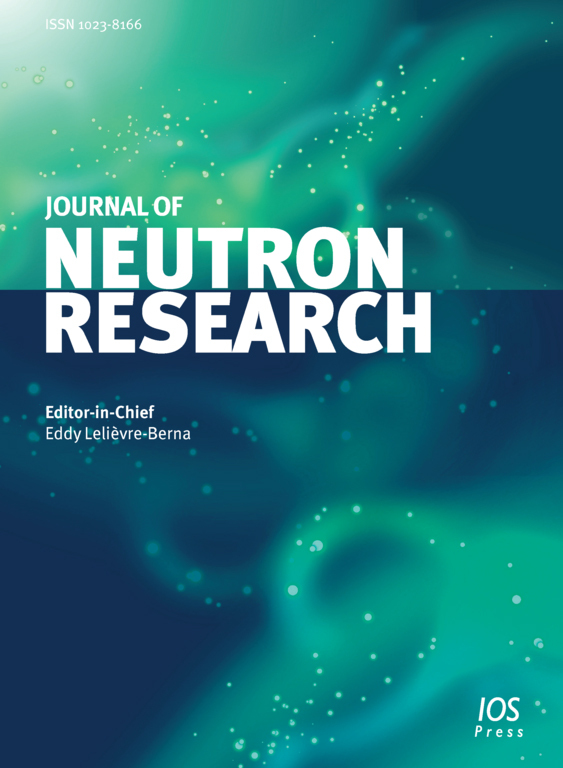 Beneficial Service for Journal of Neutron Research – The Journal of Neutron Research (JNR) is covered by the IOS Pre-Press service. Shortly after acceptance, JNR articles are prepublished online on the IOS Press full-text journal website, well in advance of their final print and online form. Articles are assigned a unique DOI number, which makes them searchable and citable, significantly reducing the time it takes for critical discoveries to reach the research community. Manuscripts must be written in English. Before submitting their manuscripts, authors whose native language is not English are advised to seek the advice of a native English speaker. They might also consider utilising the services of a company that offers Professional Editing Services to authors of journal articles in the areas of science, technology, medicine or the social sciences. For example, Peerwith offers a language and copyediting service to all scientists who want to publish their manuscript in scientific peer-reviewed periodicals and books. We accept submissions only online through the journal’s editorial management system. Preparing a manuscript from one of our LaTeX or MsWord templates that follows our guidelines will facilitate the evaluation process. Note that the manuscript should be uploaded as one file with tables and figures included. This file can be a Word document, a .pdf, or a .zip file. After an article has been accepted for publication an editable file of the text, such as MsWord or LaTeX, is required. If you are uploading a paper that has been accepted for publication or accepted pending minor revisions, please upload the source files of the paper. If using LaTeX please use our LaTeX template and also send a .pdf version of the LaTeX file as well as separate files of all figures (if any); see "Preparation of manuscripts" for the required file formats. LaTeX packages should be compiled into .zip or .rar files. If using MsWord, please use our MsWord template and also send a .pdf version of the MsWord file as well as separate files of all figures (if any); see "Preparation of manuscripts" for the required file formats. In addition, to help us tweet your research please provide a very short text motivating people to read your article. This text should be linked to your website, blog, videos; anything that will help the reader building a picture of your research. It will be posted with the figure you recommend.